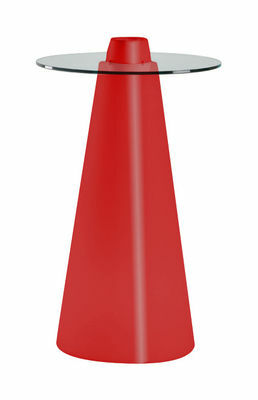 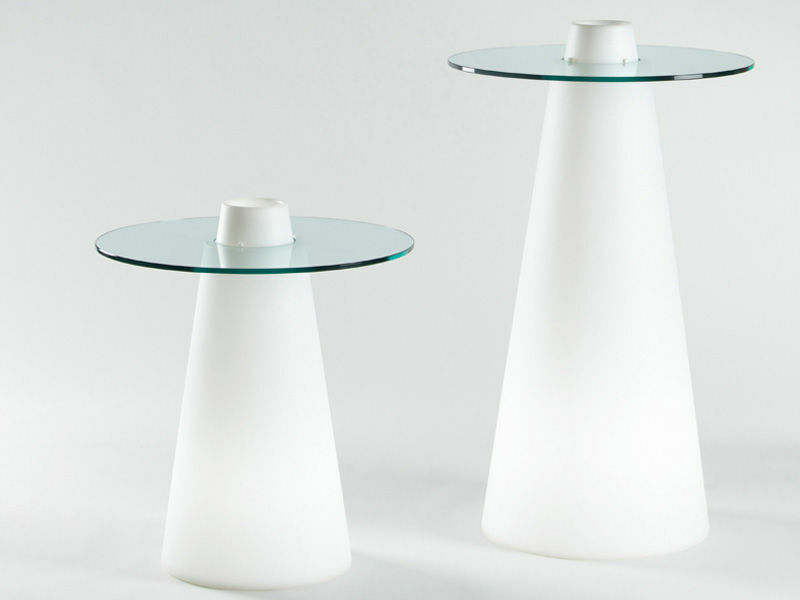 This high table is composed of a circular point of support in tempered crystal and a conical support. 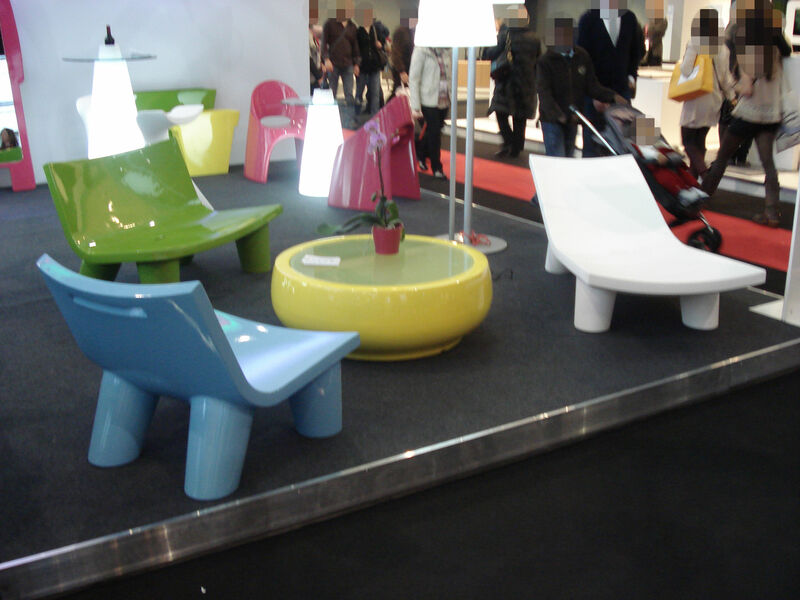 It is made of polyethylene by rotational moulding. 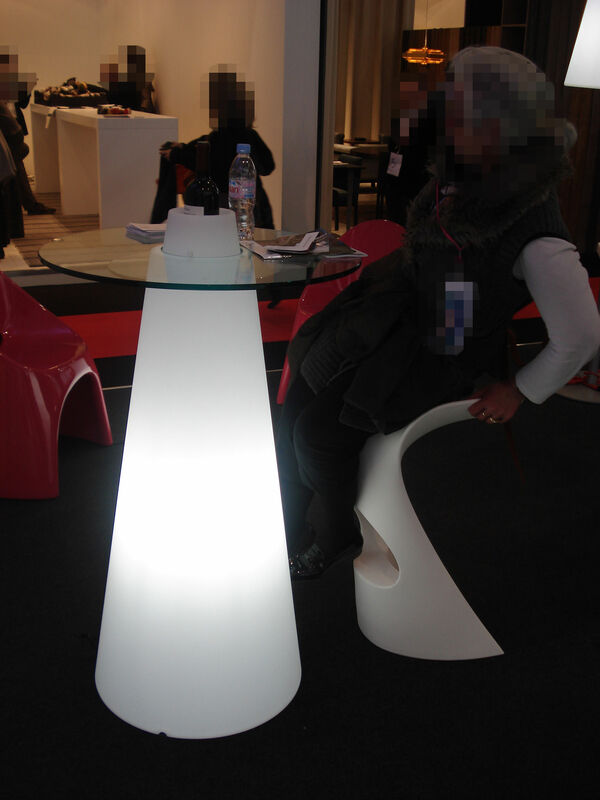 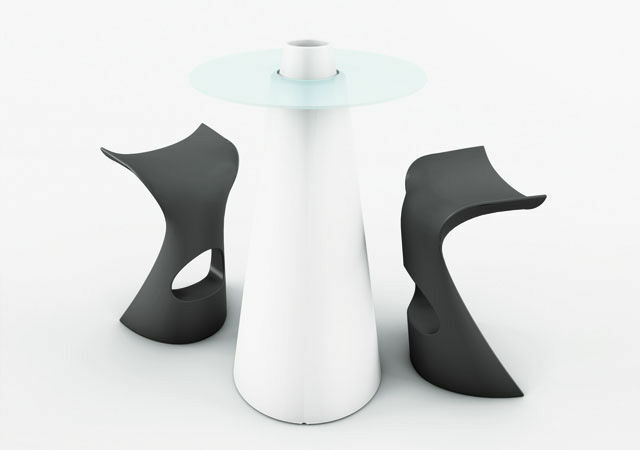 This high table (H 120 cm) forms a very beautiful set with the Koncord stools of Karim Rashid and suits the different requirements of the collective places but also private spaces.